FREE EVENT! If you’d like to meet our team and learn more about the amalgamation of Affordable IVF into Fertility Solutions, please join us at a free event in Rockhampton on 14th April 2016. During this event, you will learn about our new IVF tiered treatments that suit most budgets. Register by calling 1300 FERTILITY or signup online by selecting the Rockhampton event on this page. 1. What’s happening between Affordable IVF and Fertility Solutions? We are currently rebranding and refreshing our business model with the vision of delivering excellence in fertility solutions whilst providing affordable options for our patients. We want to be able to provide our patients with more flexible and affordable fertility treatments under the one roof. 2. How will this amalgamation affect me? There should be no effect on you as a patient; in fact if anything the amalgamation is beneficial for you because we are now offering a tiered level of fertility treatments. You will now no longer have to transfer if you decide to have a different treatment option than the one your doctor has suggested because we are offering all treatments under the one roof.The treatments that are being offered by the refreshed business will now be all able to be accessed by patients at the one location. This means patients can start with lower level fertility treatments such as insemination (if your situation is suited for this) and then progress to other options if required such as our standard IVF treatment followed by our intermediate IVF treatment or more customised IVF treatment without having to change clinics or sign consents so that information is released. We will continue to offer all patients the option of having their egg collection under the comfort of an aneasthetic at the hospital or whilst awake at the clinic. 3. What are the differences in the various treatment options being offered? 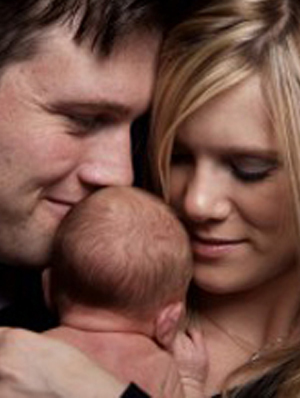 The main difference with the various treatment options is with our IVF cycles. Depending upon a patient’s situation, they may be suitable to have what we call our standard IVF which was previously the treatment model offered by Affordable IVF and you have access to a cleavage stage transfer (day 2-3). If standard IVF is not suited to your situation then we can offer you intermediate IVF where you have access to a blastocyst transfer (day 5-6). Should neither of these options be suitable we can also offer you a customised IVF treatment where there are many other approaches to IVF that can be offered tailored to your specific needs including the use of donor sperm or eggs. Your doctor can discuss with you if this is an option suitable for you as there are certain criteria that needs to be met. 4. What criteria do I need to meet so that I can access the standard/intermediate IVF option? Your specialist can discuss this in more detail with you and together you can work out which is the most appropriate treatment option for you. 5. If I want to change from the standard IVF approach to the intermediate level or even to more flexible customised IVF treatments or vice versa can I do this? Yes of course as long as your situation is suitable for the treatment option you want. All you would need to do is have a chat with your specialist and then go from there. 6. What are the differences between the various levels of IVF treatments? The main differences between standard IVF and intermediate IVF is with standard your embryo transfer will occur on day 2-3 post egg collection (cleavage) but with intermediate the transfer will be on day 5-6 post egg collection (blastocyst).The main difference between standard/intermediate IVF and customised IVF is that standard IVF only offers patients one specific treatment approach, whilst you will see the same doctor for your treatment planning and follow up, there will be a roster system for the doctor who will be doing the egg collections. The nurses will perform all your scans and a nurse will perform your embryo transfer. As this approach is less complex it is also more cost effective. With the more flexible customized IVF approach your own specialist monitors your cycle, performs your egg collection and your embryo transfer. With the more customised approach your specialist is able to offer you many more options that are not able to be offered with standard IVF such as different approaches to the IVF cycle, surgical sperm retrievals and donor treatments just to name a few. 7. Are the differences between standard/intermediate IVF and more customised approach to IVF worth the $$ difference? With the standard/intermediate approach to IVF treatment your main contact is with a nurse whilst more flexible customised IVF treatments your contact is primarily with your specialist. Your specialist will perform your scans, egg collection and embryo transfer whilst these are performed by the nurses with a doctor on a roster doing the egg collection with standard/intermediate IVF model. Using nurses for these procedures is more cost effective when compared to a fertility specialist and with the many different approaches to IVF offered by the more customised IVF level they often require intense planning and trouble shooting and specialist involvement along with more monitoring (i.e. blood tests and scans). They often involve a lot of staff work behind the scenes with all departments. Because of this the cycle costs with customised IVF are greater when compared to standard/Intermediate IVF that has a regular approach to treatment planning and monitoring. For more information please feel free to call us on 1300 FERTILITY or 1300 LOW COST.